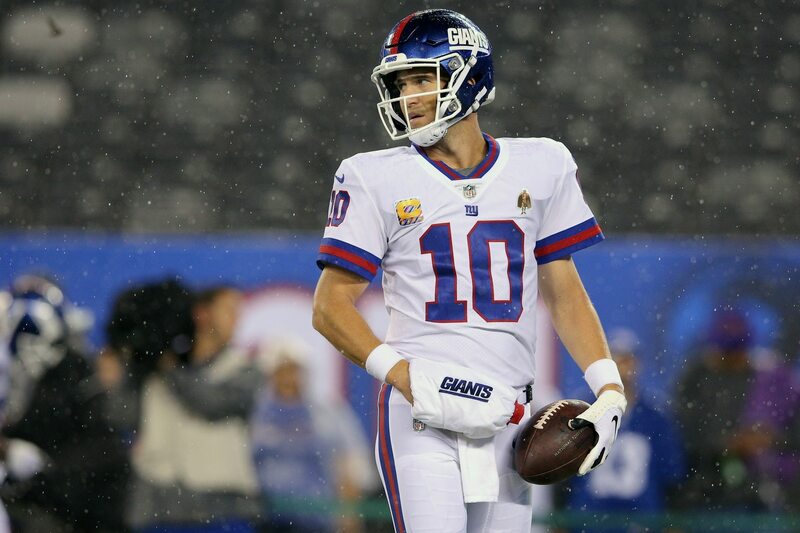 The New York Giants lost in royal form (13-34) at home against the Philadelphia Eagles on “Thursday Night Football.” And there is no sugar-coating the fact that quarterback Eli Manning was simply dreadful all evening long. As Giants fans agonized watching Manning blunder left and right, this stat right here shows us exactly how terrible he really was. The numbers do not lie. Manning earned a QBR of 9.0 when he WAS NOT being pressured. When he was, he rated 0.7. How this even possible? Manning’s offensive line did him no favors either, and looked like children fending off the Eagles defenders. During his disastrous performance, Manning completed only 55.8 percent of his passes, threw zero touchdowns and one interception that came on his opening drive. The only member of his offense he could reliably connect with was running back Saquon Barkley on some shorter throws. Barkley did what he could to help by tallying 229 all purpose yards and one rushing touchdown. All the while, wide receiver Odell Beckham fumed with frustration until he finally reached his boiling point. The fifth-year receiver ended his evening catching 6-of-10 targets for 44 yards. It was definitely an embarrassing night to be a Giants fan. Though, following Manning’s wet noodle of a performance, the Giants have no plans to bench him. This is despite the fact that Manning’s own teammates reportedly do not have much faith in him as a player. Through what was has looked like complete mayhem so far all season, the Giants currently rest in last place in the NFC East with a 1-5 record.